Knox Rail Salvage is your one stop source for all your floor covering needs. We will not be undersold on a product of equal quality. Get MORE FLOOR FOR LESS IN OUR STORE! 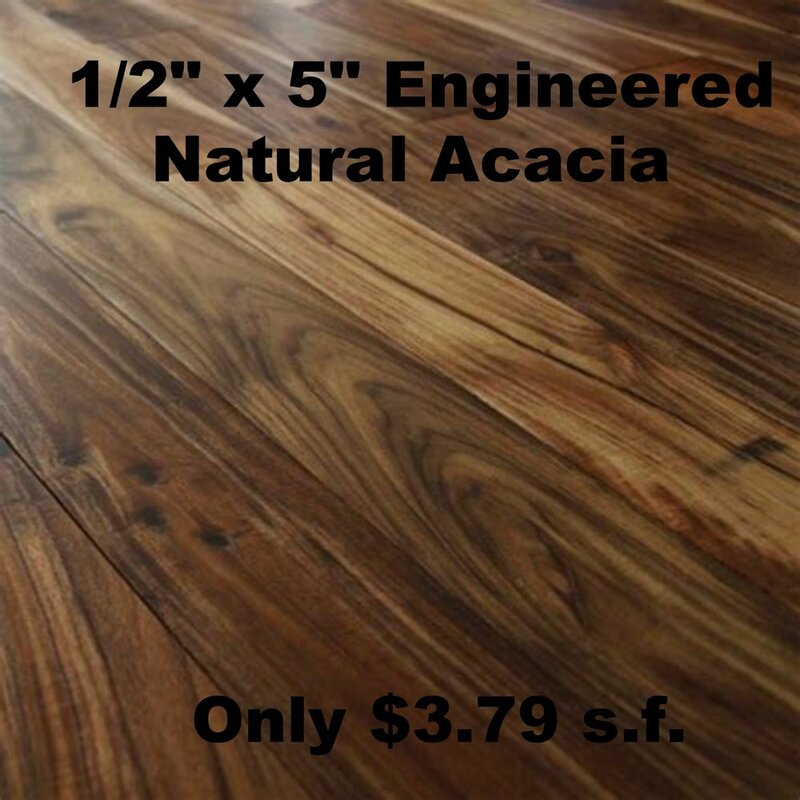 THE BEST PRICES ON ACACIA WOOD FLOORING - AMERICA'S HOTTEST SELLING FLOOR. Knox Rail Salvage is your one stop source for all your floor covering needs. We will not be undersold on a product of equal quality. Bring us your best price and give us the opportunity to help you save more of your hard earned money. Our prices on tile start at only 69 cents per square foot. We stock a huge selection with large inventory levels to do big jobs. We have over 50 rolls of carpet in stock at competitive, low prices. We also stock a lot of area rugs in various sizes. The inventory changes but the great values remain. We stock a large selection of engineered and pre-finished hardwood flooring at discount prices. Our inventory is constantly changing but the great values and discount prices remain at Knox Rail Salvage. Give us a call or stop by to see our great selection of hardwood flooring. We stock the most popular travertine colors (ivory, walnut and silver travertine), sizes and formats with the lowest prices in East Tennessee. We have travertine for the backsplash, tile shower, bath or kitchen floor and the only limitation is your imagination. At Knox Rail Salvage we have the quality, style and low price to make your laminate flooring project a huge success. From 7 mm entry level laminate to 12mm handscraped finish with attached pad, we deliver the most value on laminate flooring in the East Tennessee. This is the fastest growing flooring segment in the flooring industry. Luxury vinyl planks and tiles are easy to install, durable and perfect for the DIY'er.